So I was meeting with a client over the course of the last week, and we ended up talking a bit about boundaries and how to apply them to her life. Much of the conversation had to do with how to set boundaries with family members and people she loves, which feels something like trying to spoon out spaghetti sauce with a fork. So we sat there and tried to define what boundaries looked like, and how we could define them a little better. Now I hate to think that I’m anyone really inspiringly smart. I mean, there are a lot of people out there who know a whole heck of a lot more than me. But every now and then, God throws me a bone and gives me something really cool to share with people. I think this is one of those things. When you think of boundaries, what comes to mind? Personally, I think of fences and walls. When I think of fences and walls, I think of all different shapes and sizes. If you can visualize those boundaries to look like those fences, it could be easier to set those boundaries with the people who are more likely to step all over them. The size of the fence involves the size of the boundary. For example, there’s a small, 2 foot high wooden fence outside the parking lot of my office building. It wouldn’t take a whole lot for someone to step over this fence, right? A little effort, and the boundary doesn’t exist anymore. We can look at these boundaries like the ones we set with our significant others. We tell them that these areas are off limits, and based on our involvement with that person, we can hope that they don’t step over those boundaries. Think of them as fences that surround a flower bed, and that if the person you love doesn’t want to step on your flowers, they don’t overstep the boundary (even though they could at any time). Now, think about fences that are chest high. You could climb over these fences and hop over to the other side, but its likely that the person who put the fence up, doesn’t want you in. The boundaries that look like this are more like clear areas that you don’t want people to overstep, and they can know right up front what the boundary is and why you have it there. So think about what kind of issues those are, and where you would set up a chest-high fence. Boundaries like these could be the punishments you set for your kids, or how long you decide you’re going to think about work after you leave for the day. Then there are the 10 foot high brick walls, like the ones you see at most mansions in Newport. These often have tall, spiked iron gates with vertical iron bars to prevent climbing. These boundaries are boundaries that mean business. These boundaries have a “No Trespassing” sign on them, and when you set boundaries like these, those who try to step over them should proceed with caution. Boundaries like this are areas that you don’t want to share with others, like personal details, sexual history, and the political discussions your family have at holiday dinners. Remember, the things you can change are your boundaries, and these are things that are in your Inside World (the world of stuff you control, or your WATER). What other people do is part of the Outside World (or the world of stuff you can’t control), but telling them your boundaries and sticking to them is you way of taking charge of your life and whether or not you allow others to affect your world. So what do your boundaries look like? 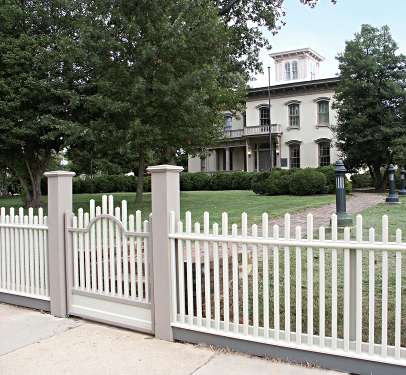 How big are your fences and what do they represent? Thank you for sharing the bone that God threw you. Your insight is very helpful. I’ve recently been trying to set some boundaries with my daughter regarding my work. She is in school all day and expects me to be done with work when she is done with school – which is usually not the case. No problem! I think boundaries are such a tricky thing to manage with those you love, and they don’t really teach you about them in school, work or anywhere else for that matter. She may not understand why you don’t get out when she does, but she’ll probably understand the boundary. Kids are smart, and they catch on quick, so with any luck, things will turn around for you. Either way, I’m rooting for you! I do like the 2ft high fences vs. the thick brick walls. The visual is a great therapy aid. And how about fences made of paper? Pour a little alcohol on them (holiday tables) and watch those fences lay down sopping wet. Bricks and mortar. I like that. Glad to see you liked it Sandy! I’ve had a lot of clients tell me they just don’t know how to set appropriate boundaries, and I really think this hits the nail on the head. I think for future reference, I’m going to try to use more visual aids, because people learn differently. For example, I was using diagrams to help my couples as of late, and I have to say, its a lot more fun than the standard “Description, Assessment, Plan” notes I’m used to. They seem to like it too, because it gives them a way to take the idea home with them. A few years ago, I realized that boundaries were desperately needed. As I tried to figure out what boundaries and with whom I realized that I was dealing with respect. If they won’t acknowlege the boundary …they are completely disrespecting me. I can’t grow and move forward in my life with everyone disrespecting me (or with many disrespecting me) As I realized I was simply asking, in a respectful way that they be respectful to me …it got much easier. A key was …realizing I was WORTHY of being respected. Quite right! I think one needs to come to that revelation in order to be able to set those boundaries with others. Once you realized that you were worthy of being respected, it sounds like you were freed from your own beliefs about yourself, which seemed to affect how others saw you as well. Good stuff, and great to hear that you applied boundaries in a way that made your life much better!